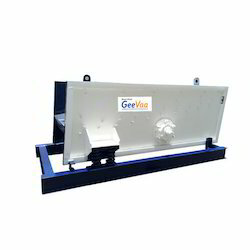 Our company is a leading manufacturer, exporter and supplier of state-of-the-art Vibrating Feeder. 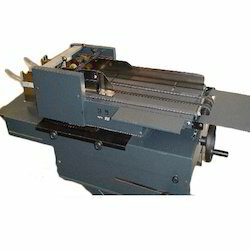 We manufacture the machine using advanced technology and high quality components. The machine is used for material handling operations at stone crushers or construction sites. Our team works relentlessly hard to meet the desired technical specifications and standards. We test the manufactured machine on various parameters to ensure their perfect functioning. it is steady vibrating, reliable working, flexible adjustment, easy instalment and so on. It is efficient to reduce the working cost and the pressure of workers, so it is the perfect machine as the continual and uniform feeder for stone crusher. 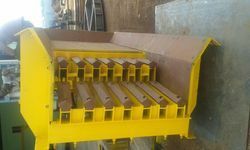 The materials will move forward on the slope surface of the automatic feeder. 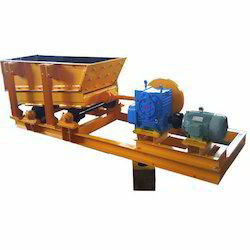 We are reckoned among the reliable manufacturer and exporter of latest technology Grizzly Feeder, which is used at construction sites or stones crushers for feeding stones chips. We have manufactured the range in accordance with the set industry quality norms and technical specifications. The material handling equipment is highly functional, durable and reliable in performance. 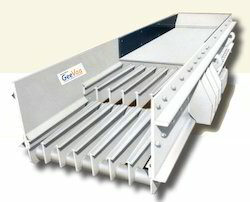 We offer the range of Grizzly Feeder at market leading prices to our customers. Customers willing to buy the range in bulk may contact us immediately. Vibration motor is vibration source, low noise, power consumption, well adjustment performance, no material collision phenomenon. It can adjust the exciting force, control and change the flow at any time, convenient adjustment and stability. Vibration stable, working reliable, long life. Simple structure, reliable, easy installation and adjustment, light weight, small size, easy maintenance. Small amplitude, high frequency and large obliquity. Used eccentric block to produce strong exciting force. We hold expertise in offering premium quality Apron Feeder to our prestigious customers. Available with us at highly affordable market prices, these feeders find wide application in various construction industries. These feeders are highly demanded in the market due to their excellent performance and robust design. Our organization is counted among the leading manufacturers and exporters of superior quality Suspension Feeder. Offered feeders are appreciated around the globe for their seamless finish, hassle-free installation and rust resistance. To offer best quality feeders, we use quality tested metal, latest technology and advanced machinery in the manufacturing process. We are one of the prominent manufacturers, traders and exporters of high quality Reciprocating Feeder. Manufactured in accordance with the industry laid standards, these feeders are widely used in different material handling industries. These feeders are highly appreciated for their impeccable performance and controlled feeding capacity. The Vibro Feeders is demanded by clients for its excellent quality, performance, low maintenance costs, and durable attributes. Flow-regulation for weighing equipments etc.